Which Type Of Bong Should You Use To Get High? Do you prefer to use a lot of water or a little water? Which is more important, function or appearance? Do you prefer flowers or concentrates? How much money would you spend on a water pipe? Do you like small or large pipes? Do you have separate pieces for concentrates and flowers? You got a bubbler, which is perfect for enjoying some flowers with a little bit of water filtration thrown in. You keep things simple, old school and to the point. Keep on keeping on! You got a straight tube, which is perfect for taking fat bong rips or the occasional dab out of. You like to take as much smoke as possible, but you don't want it to be harsh either. You got a mini tube, which is ideal for taking fat globs out of. You got a recycler, which is great for taking large globs out of while watching the water drain! You enjoy watching water get tossed around and would probably choose function over appearance, although most recyclers are sleek. You got a faberge egg, which is an ideal flower or concentrate piece, but depending on where you get it, it will cost a pretty penny. You got a sculpted rig! You enjoy glass because of the appearance more so than the function. 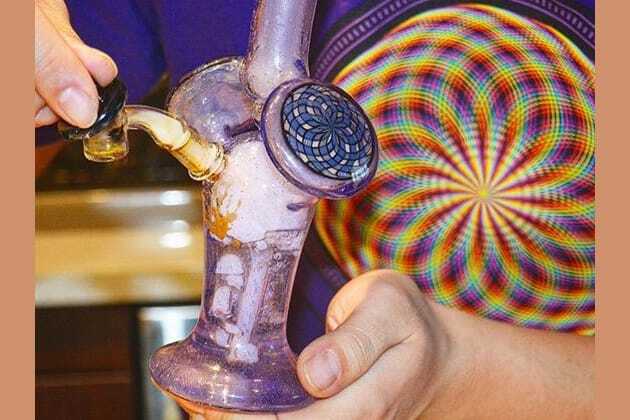 Take a couple dabs and enjoy the view of your functional artwork. Undecided about what style water pipe you're looking for? Whether you're looking for something for concentrates or flowers, there's an answer at the end of this quiz for you!